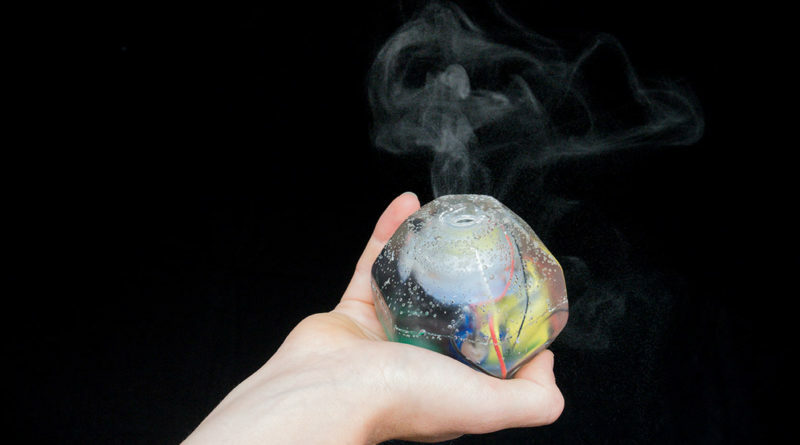 Olfactory artist and designer Leanne Wijnsma created the ‘smell of data’: how can smell be used in a digital world? Since smell is difficult, impossible even, to digitize, what role may smell have when our daily activities take place in a digital setting more and more? Leanne got the idea to exploit one of the primary functions of smell: being a warning system. And by applying this function to a threat we face in the digital world, that is, of data breaches, the idea behind the ‘Smell of data’ project was born. In the series of 5 videos that you find embedded below, the rational behind this idea is explained, along with many other interesting facts on olfaction as a warning sense. On this website, you can find more information on the smell of data. In video 2, 3 and 4, she interviewed emeritus professor Ep Köster, who investigated one of the most widely used and life saving olfactory warnings in existence: the smell that is added to the natural gas we use in our kitchens and to heat our homes. Prof. Köster has been and still is fundamental for olfactory science world-wide.